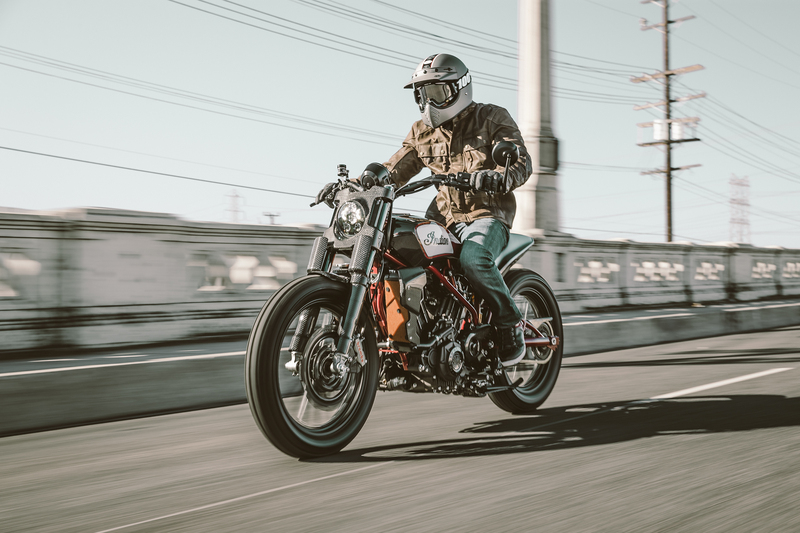 In commemoration of the Indian Wrecking Crew’s American Flat Track championship victory and to test the waters for production, Indian Motorcycles has unveiled the one-off Scout FTR1200 Custom at the EICMA show in Milan. 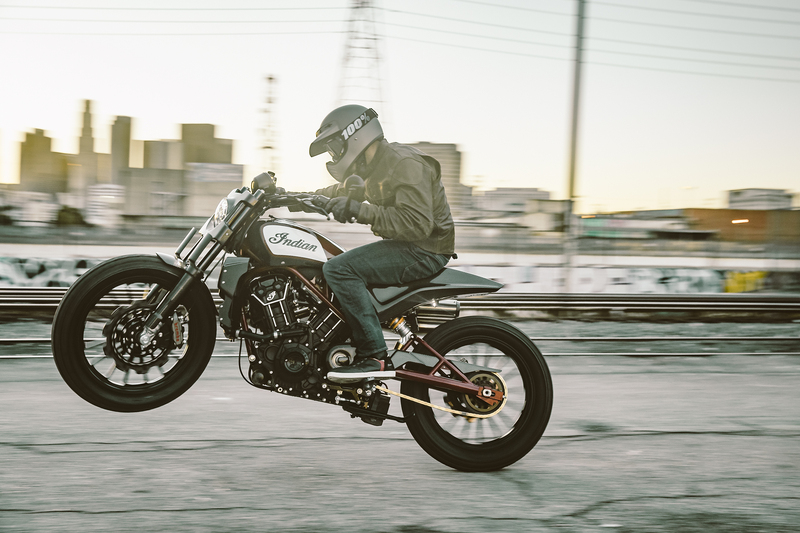 It’s basically a street-legal version of the dominant flat track bike we’ve been begging to see come to production. 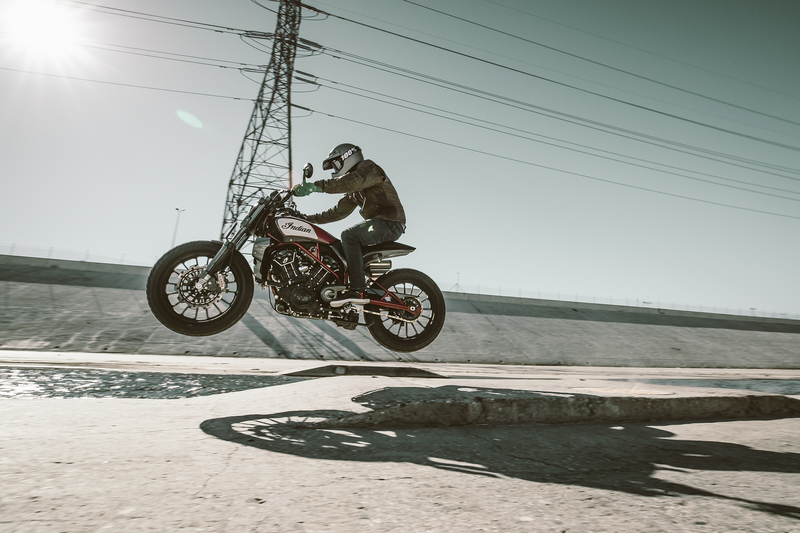 In a departure from the usual cruiser fare at Indian, the FTR1200 Custom is something decidedly different. 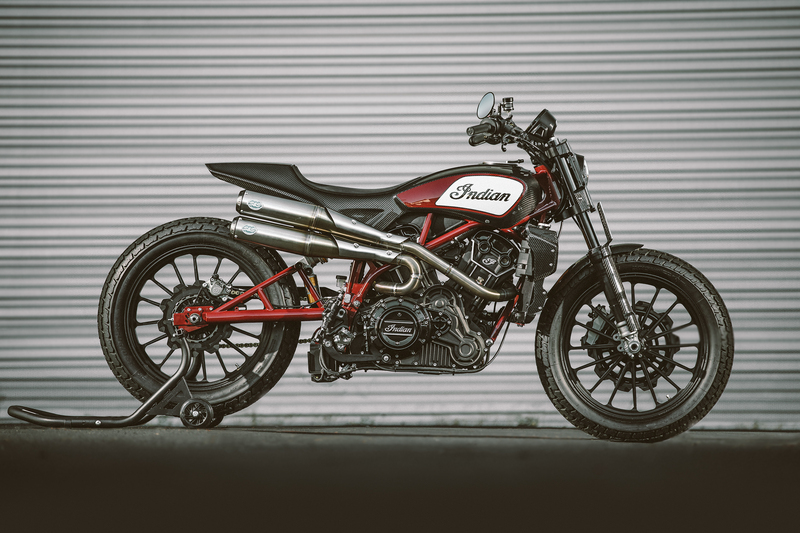 It’s tough to classify since it’s not quite a cruiser and not quite a dual sport. 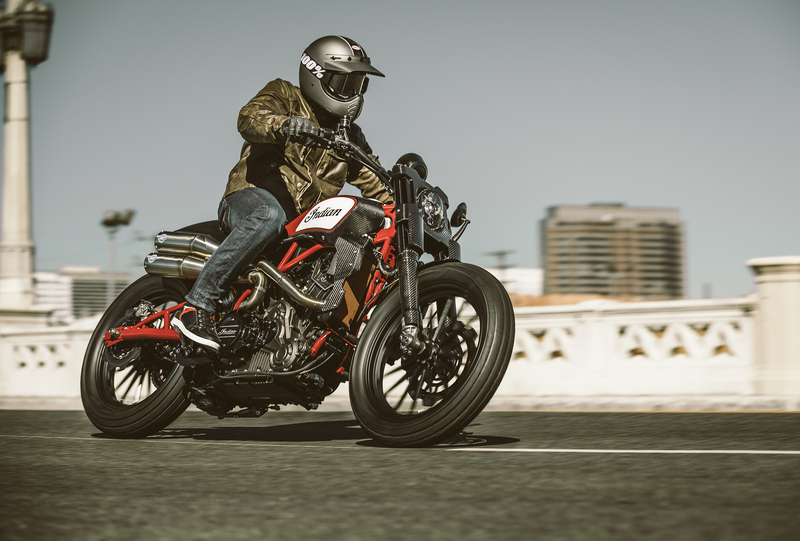 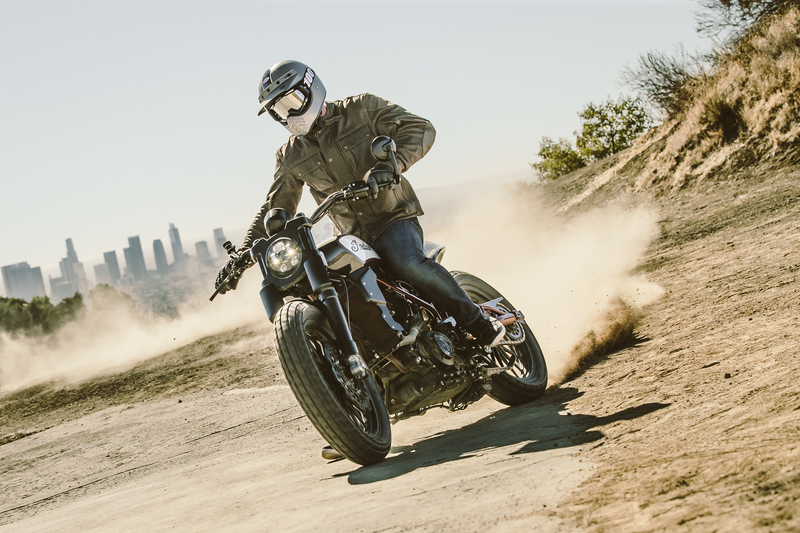 It sort of fits into the “scrambler” category filled by aptly named bikes like the Ducati Scrambler, Triumph Scrambler, and BMW R nineT Scrambler. 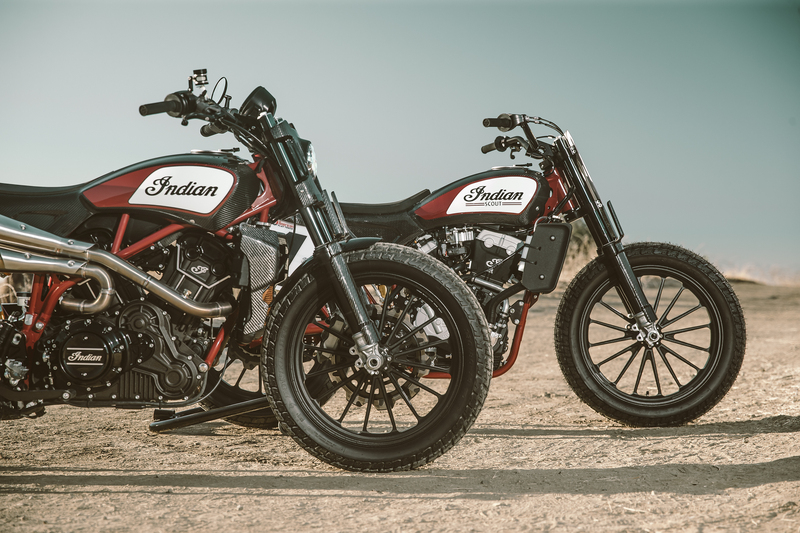 Indian calls it a “street tracker” which seems accurate considering it’s a flat track bike for the street. 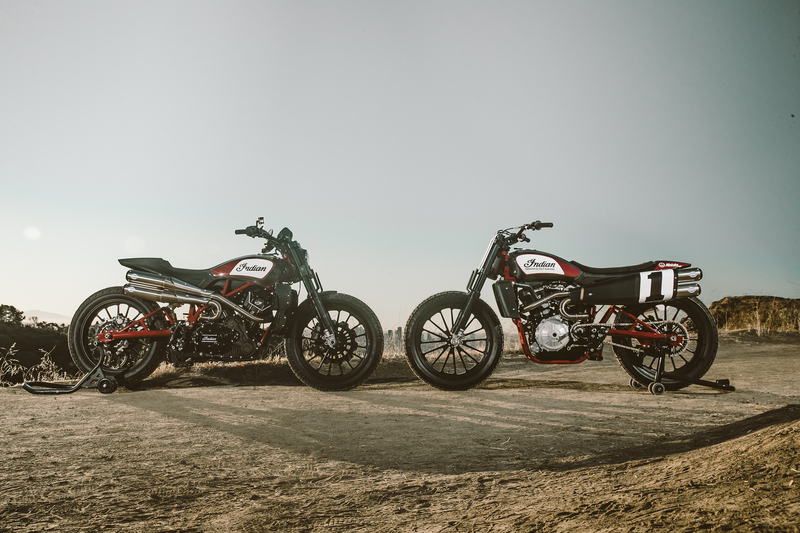 "We built this bike to celebrate the FTR750’s dominant performance in American Flat Track and Indian’s return to racing," said Indian marketing director Reid Wilson of the FTR1200 Custom. 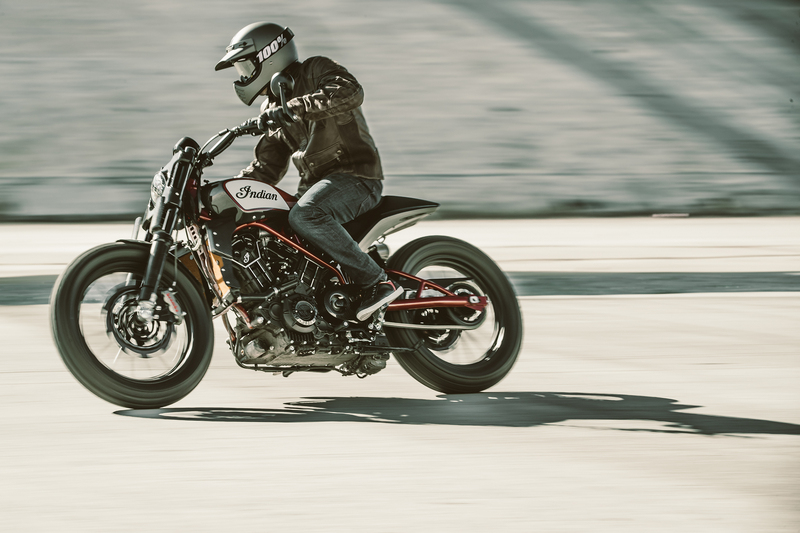 "We worked with the Indian Motorcycle Race team to execute our vision of what it would look like to bring the FTR platform to the street." 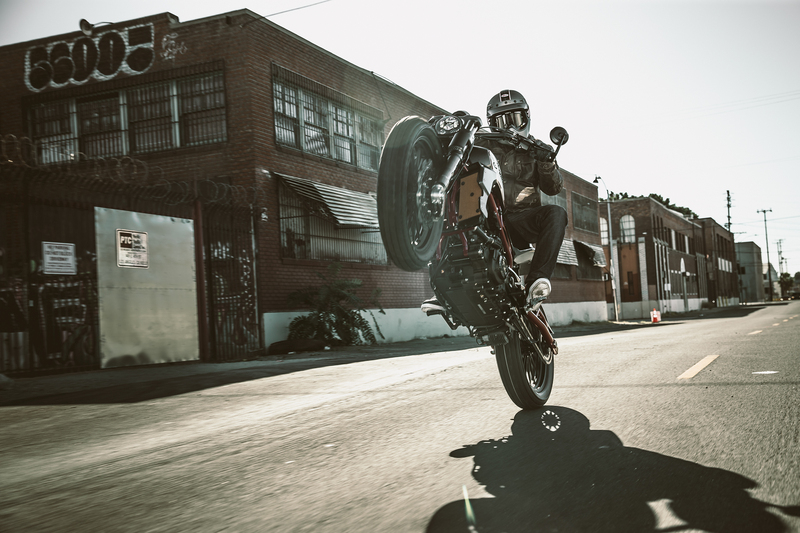 Aesthetically, the FTR1200 Custom has a lot in common with the FTR750 racebike it’s based on. 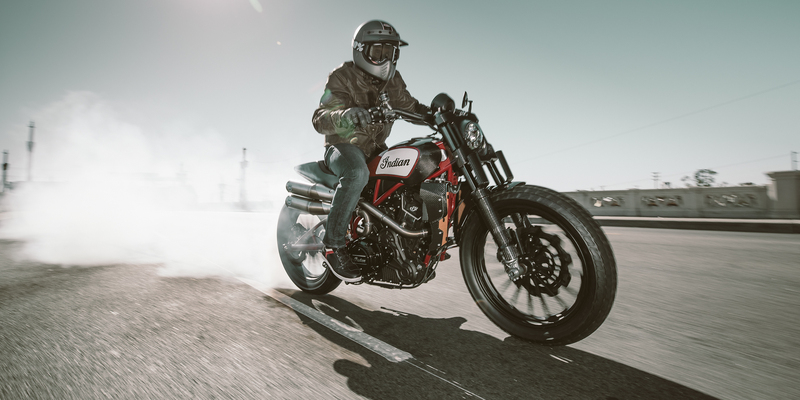 A liquid-cooled, 60-degree 1133cc V-twin engine sits in the bike’s steel trellis frame making over 100 horsepower. 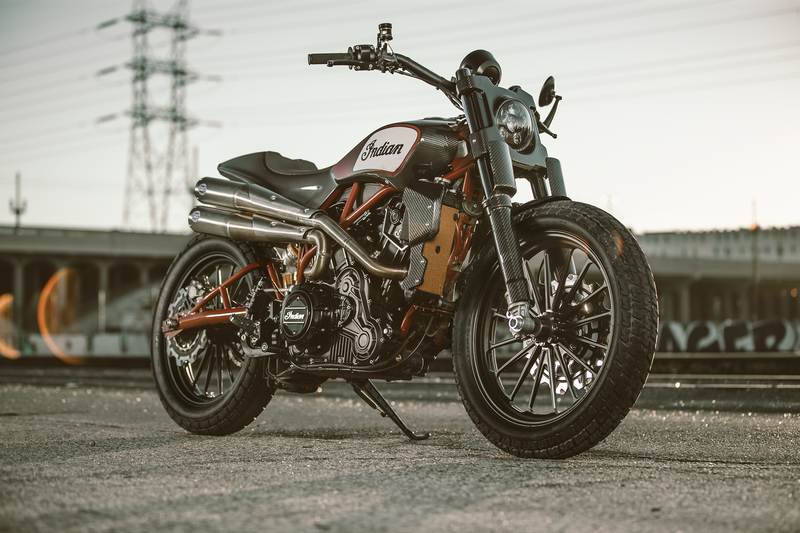 It has a two-piece carbon fiber body, LED lights, Ohlins suspension, Brembo brakes, and RSD Traction wheels with Dunlop DT3 dirt track tires. 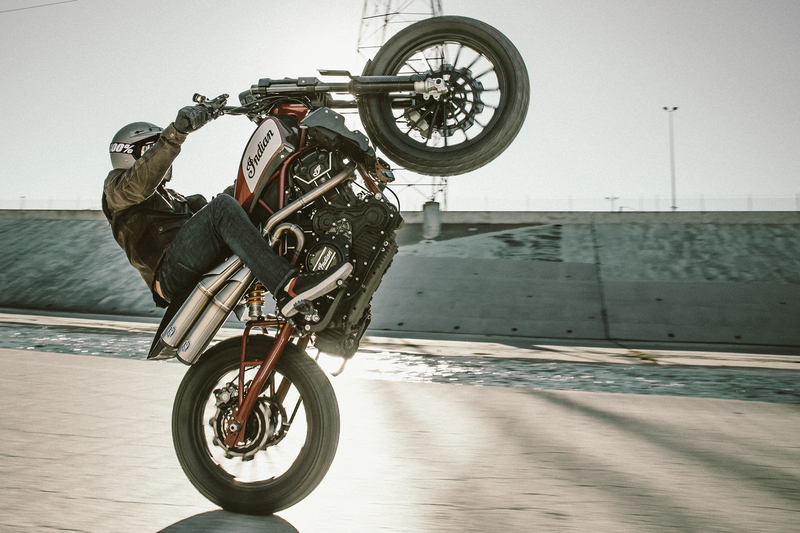 Well, Indian, we love it and we have a feeling much of the motorcycling public will feel the same way. 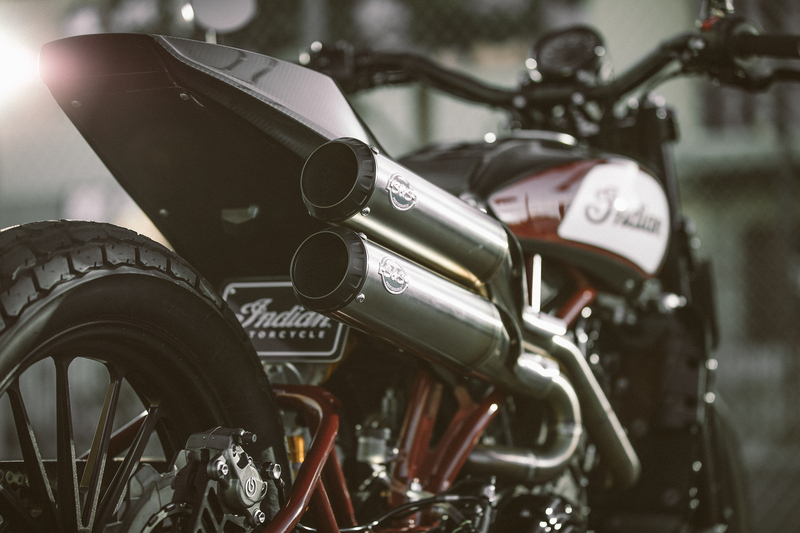 It would be a refreshing addition to Indian’s lineup of cruisers adding something a little different in the mix.